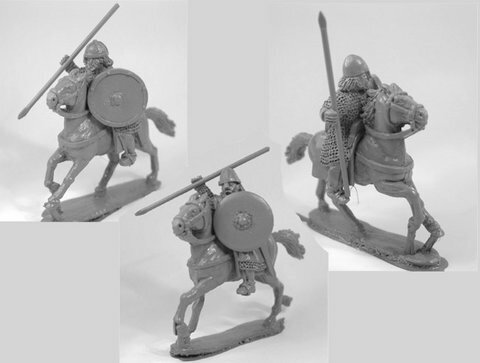 Mounted Thegns (3 figs) 28mm sized metal figures, supplied unpainted. Figures supplied without spears. You can either provide your own out of wire, or buy our wire spears.